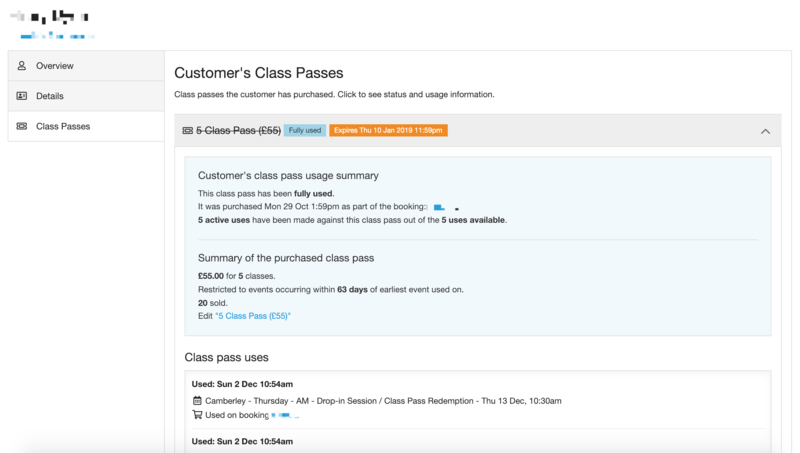 How to access details on your customers, including booking history and class pass information. To find a profile of a customer simply click on their email address within the Customer list, Bookings tab or within any booking. Here's what the customer profile page layout will look like (the information will differ, depending on the customers previous activity).